“I have known William Anderson professionally and personally for more than 15 years. His professional expertise and his passion for games and the history of game design surpasses the average designers that I known. William gives a different angle to problem-solving and always pull it off on the stressful time limitation to the demanding game industry. His personal integrity as a friend is second to none. As a professional, William always thinks outside the box and willing to take initiative and hybrid approach to his game designs. He writes well and sometimes I wonder where he gets his wacky ideas, overall William always keeps the idea fresh but keep the fundamental game design solid. William is considered old school which we need more of this type in the industry. To understand game design you cannot forget the solid fundamental of game design or else its just whip cream on the cake and William understand that. “Back in 1991, as we were developing our internal studios at Virgin Interactive, we decided to look for full-time game designers. It might be hard to believe, but most game design in 1991 was done by programmers and artists. I don’t remember how, but Bill showed up with a game design he had done in a notebook. It was an RPG game … but we were looking for a level designer for a Super NES platform game. Because of Bill’s great looking RPG design, and incredible enthusiasm, we decided to give him a shot at the level design for Cool Spot. Phil Trumbo – Art Director – Alexandria, Inc. 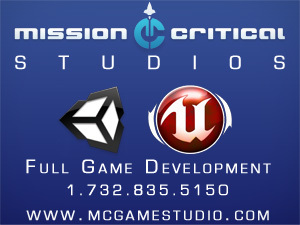 I had the pleasure of working with Will at Virgin games many moons ago and recently here at FarSight Studios. At Virgin, I encountered an eager and talented young man who assisted me in designs for my early video game projects. I witnessed Will single-handedly create amazing designs for some of the company’s most successful franchises. Will always had an innate understanding of video game design principles and demonstrated superior imagination and an eagerness to exceed expectations. My re-acquaintance with Will has been a great joy. He is ever-ready to listen to all opinions and ideas, he is rapid, flexible and well-matured. He has a thorough and up to date understanding of all game genres and is always two steps ahead, thinking well beyond the current generation of systems and technology. Will has been instrumental in facilitating timely production due to his comprehensive experience and understanding of the whole process, he seemingly has an infinite resource of great ideas up his sleeve and an exuberant sense of possibility. “Bill is a great designer to work with. Professional and a team player. His imagination and creative output was a major part of shaping the games we did at Virgin Games. As a marriage, the designer and the background artist must work well together and I think the quality of Aladdin, Cool Spot, Global Gladiator and jungle book reflect the success of this connection between Bill and us artists. “The studio has a history of producing sports titles. As the market has shifted toward casual games their business grew and their titles have diversified. The company has come to rely on Will due to his extensive experience in a variety of genres. 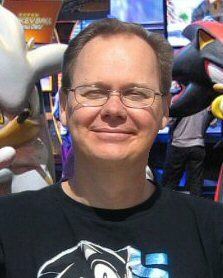 His contributions as Designer and Producer have allowed the company to have continued success in more than just sports, or sports-related titles. Dan Chang – Manager, Online Technology Support at Nintendo of America Inc.